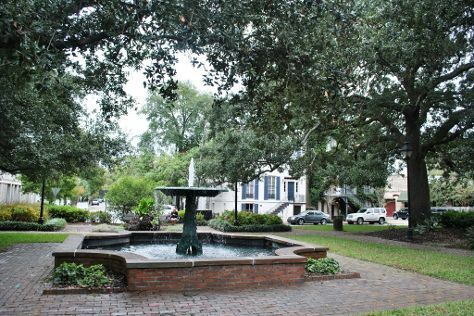 On the 15th (Fri), admire the landmark architecture of Historic Savannah Theatre, take in the spiritual surroundings of Cathedral of St. John the Baptist, get the lay of the land with Walking tours, then tour the pleasant surroundings at Forsyth Park, and finally take a stroll through Savannah Historic District. Keep things going the next day: get thoroughly spooked out with a ghost and vampire tour, explore the different monuments and memorials at Bonaventure Cemetery, then learn about all things military at Webb Military Museum, and finally don't miss a visit to River Street Savannah. To find more things to do, photos, reviews, and more tourist information, you can read our Savannah day trip planning app . Abu Dhabi, United Arab Emirates to Savannah is an approximately 20.5-hour flight. You can also do a combination of bus and flight; or do a combination of car and flight. The time zone difference when traveling from Abu Dhabi to Savannah is minus 9 hours. Expect little chillier weather when traveling from Abu Dhabi in March: highs in Savannah hover around 24°C, while lows dip to 10°C. Cap off your sightseeing on the 16th (Sat) early enough to travel to Atlanta. Start off your visit on the 17th (Sun): examine the collection at World of Coca-Cola, then admire nature's wide array of creatures at Georgia Aquarium, and then take in panoramic vistas at Jackson Street Bridge. Here are some ideas for day two: explore the galleries of Center for Civil and Human Rights, then let your taste buds guide you at a local gastronomic tour, and then test your problem-solving skills at popular escape rooms. To find photos, reviews, maps, and other tourist information, refer to the Atlanta road trip planner. Traveling by flight from Savannah to Atlanta takes 3 hours. Alternatively, you can take a bus; or drive. Expect a daytime high around 21°C in March, and nighttime lows around 8°C. Finish your sightseeing early on the 18th (Mon) to allow enough time to travel back home.